Greg Hegarty has been promoted from general manager of Park Plaza Riverbank London to regional general manager UK of Park Plaza Hotels & Resorts. In his new role, Hegarty will be responsible for seven of Park Plaza’s UK properties, including Park Plaza Sherlock Holmes London, Park Plaza Victoria London, and Park Plaza County Hall London. He is also responsible for Park Plaza Leeds and Park Plaza Nottingham, as well as Park Plaza Riverbank London and the adjoining five-star property, Plaza on the River – Club and Residence, London. Hegarty will be working closely with the general managers at Park Plaza Leeds and Park Plaza Nottingham to oversee their upcoming refurbishments. 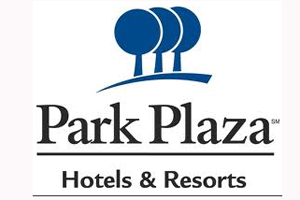 Park Plaza Hotels chief executive Boris Ivesha said: "Greg has proved himself time and again with the company, with his recent tenure at Park Plaza Riverbank and Plaza on the River, where he oversaw a significant increase in profits, being a particularly resounding success."